1-CD with 16-page booklet, 33 tracks. Playing time approx. 78 mns. I was born in Napier, Hawkes Bay, on the East Coast of New Zealand, on the 25th September 1935, as the oldest of a family of eight, I showed an early interest in Country Music, or Hillbilly music, as it was known then. My favorites were Tex Morton, Hank Snow, Wilf Carter, Slim Dusty, and Buddy Williams. I bought my first guitar at the age of fifteen, with my first pay. The guitar was a Tex Morton model, sold from an Auckland warehouse, along with lessons in the form of a few typed pages, showing a few chords, and hints on how to play the guitar, microphone technique, etc. At the time, I was working on a sheep and cattle farm, miles away from city life. It was some time before I was able to get my guitar tuned (by a mate in my football team), but for the first two years, progress was about nil. After eighteen months on the farm, where my chief mode of transport was on the back of a horse, I moved further inland to a place nearer to my parents' home, to a town called Norsewood, where I worked in a grocery store, and then across the road to the dairy factory, where I was employed helping in the production of butter, and later milk-powder. It was while I was working at the dairy factory, and living alone in a hut at the rear of the factory, that I found the time, and the inspiration to work on my music. With the Tex Morton lessons as a guide, I listened to some 78rpm records and actually tuned my guitar from listening to a Buddy Williams record. Progress was slow and painful, but I progressed to the point where I was able to enter a talent quest in the neighboring town of Dannevirke, on the 29th of September 1953. I could accompany myself on two songs at that stage--Beautiful Girl Of The Prairie and Have You Ever Been Lonely. I was unsuccessful at the talent quest, but I met two fellow-contestants, Horace and Tui Hartley, and before year's end, Horace called on me at the dairy factory, and asked me to join up with him and Tui, as they were on the look-out for a vocalist. They had tried a singer named Lew Swan, but I fitted their style better. We called ourselves the Ruahine Ramblers after a range of mountains in the area. Our first stage performance was on the 7th of January 1954, singing for the big crowd that had been waiting for the arrival of Queen Elizabeth II, who was touring the country by train. Our first live radio broadcast was from 2ZA Palmerston North on 7th February 1954, and we found steady employment at dances, socials, concerts, and on radio around the Hawkes Bay and Manatawatu areas. Meanwhile I, along with Tui and Horace, continued to do regular broadcasts form stations like 2ZA Palmerston North, 2YZ Napier, and 2XA Wanganui, and often sang on stage prior to a special movie being screened. On January 20th 1955, we recorded 7 tracks as an audition for the Tanza label, but they were unsuccessful. One song we recorded that day was When The Cactus Is In Bloom, a song we'd learned from Tex Morton. I still have it on a 78rpm acetate recording. Harmonizing with me on this song was Audrey Waghorn, my girlfriend at that time. Noelene Anderson was born in the town of Feilding, on the 22nd January 1936 as the oldest in a family of eight, and her interests in music included western music. She would sit in a record booth and listen to Wilf Carter and Hank Snow 78rpms, as well as the likes of Vera Lynn and other popular singers of the time. She had done little serious singing when a couple of her friends talked her into entering a talent quest at the Regent Theatre in Palmerston North, on the 30th of May 1954. One of her friends, Trevor Kirk, played piano for her. The Ruahine Ramblers were present that night, and I was captivated by her singing and her looks. Noelene placed fourth in that quest; the Ruahine Ramblers came second, and moved on to the Finals the following week. I was at the time fulfilling my obligation to the Government by doing Compulsory Military Training, and I had broken my leg playing rugby, so my leg was in plaster at the talent quest. Rugby was just one of my passions at that time. I also enjoyed smallbore rifle shooting and rodeo riding. One day in 1953, I was featured on the front cover of a national newspaper, being bucked off by a steer, and carried off on a stretcher, at the Meeanee Rodeo in Hawkes Bay. 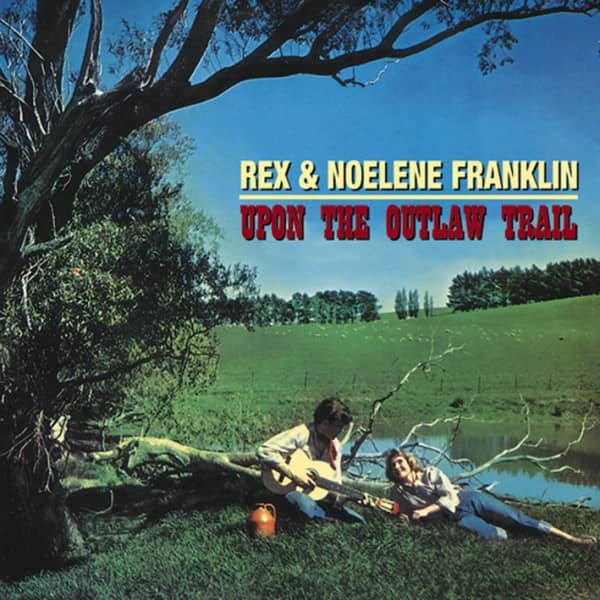 Noelene and I began courting and singing together in 1955. Our very first singing engagement was at Ormondville on the 25th of November 1955. We called ourselves The Sunvalley Trail Singers, and I had written a radio theme song for us called We're Riding The Sun Valley Trail, which we used on many personal appearances, as well as our many radio shows which were to follow. The Ruahine Ramblers went on to hire two singers at different times, with whom they recorded commercially. Doug Rider sang on two 78rpms, and Paul Jarrett sang on three 45rpm Eps. 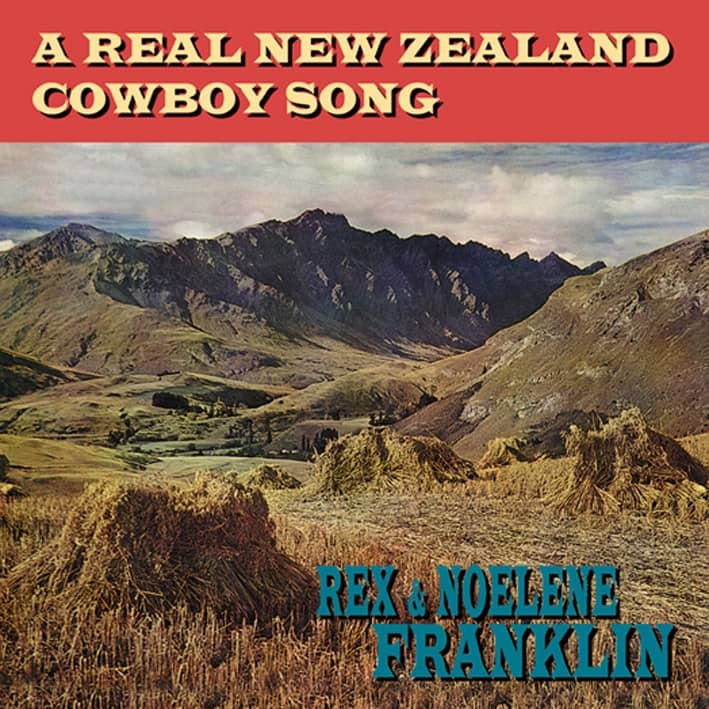 Noelene and I began broadcasting from local stations, and even toured the North Island of New Zealand one year, singing at radio stations. We were also asked to sing at all sorts of functions around the Hawkes Bay and Manawatu areas in particular, as well as places like Timaru, Dunedin and Gore in the South Island. 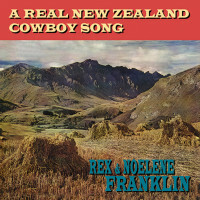 In August 1956, I took my first trip to the big smoke of Wellington, to do the rounds of some of the record companies. One fellow I met was Murdoch Riley at the Tanza Records studio. Murdoch took a distinct interest in the acetate recordings that I and Noelene had done. He asked Mr. Ivan Tidswell in Dannevirke, to record 'these young singers', and our first session was at Mr. Tidswell's home, on the 1st of September 1956. Our first 78rpm was released the following month. The coupling was two songs popularized by Hank Snow: Would You Mind? and I Wonder Where You Are Tonight? Having a record on the market accelerated our career. To our usual round of performances we added personal appearances at record shops, which worked a treat in selling our records. 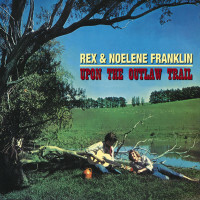 Both songs became favorites on request sessions and Hillbilly corners around the country. We married in the Lutheran church in Palmerston North on the 17th of November 1956. I decided to try a little promoting, and commenced my 'Western Variety Shows' in the immediate and surrounding areas, using one crystal microphone and one speaker, unless there was a better system at the hall we were using, and there usually was not. Our second 78rpm was released in 1958, comprising two of my own songs. In 1959, more recording sessions took place. This time we were with Viking Records, run by Murdoch Riley. Our first release on Viking, a 45rpm EP titled 'Shearers' Jamboree', appeared in 1960. Customer evaluation for "Upon The Outlaw Trail"